London’s National Army Museum is to restitute locks of hair of emperor Tewodros, which will now be buried on Ethiopian soil. An artist cut the hair from the emperor’s body a few hours after Tewodros committed suicide following his defeat at the battle of Maqdala in 1868. In April 2018 the Ethiopian embassy in London requested the return of the locks. Hair is not regarded as “human remains” under UK government guidance for museums (which allows for restitution), but the museum’s council regarded the return as “an opportunity to do something positive diplomatically with Ethiopia”. Unlike some major UK museums, the National Army Museum is able to deaccession. The press spokeswoman for the Ethiopian embassy describes the return as an “exemplary gesture of goodwill”. She adds: “As the locks of hair represent the remains of one of the country’s most revered and beloved leaders, a display of jubilant euphoria is to be expected when it is returned to its rightful home”. The Ethiopian government has not yet decided whether the hair will be temporarily displayed, but the plan is for it to be buried with the remains of the emperor at the Mahabere Selassie Monastery in Qwara, in northern Ethiopia. Discussions between the museum and the Ethiopian government, possibly involving a visit by the culture minister, are expected shortly to arrange the handover. 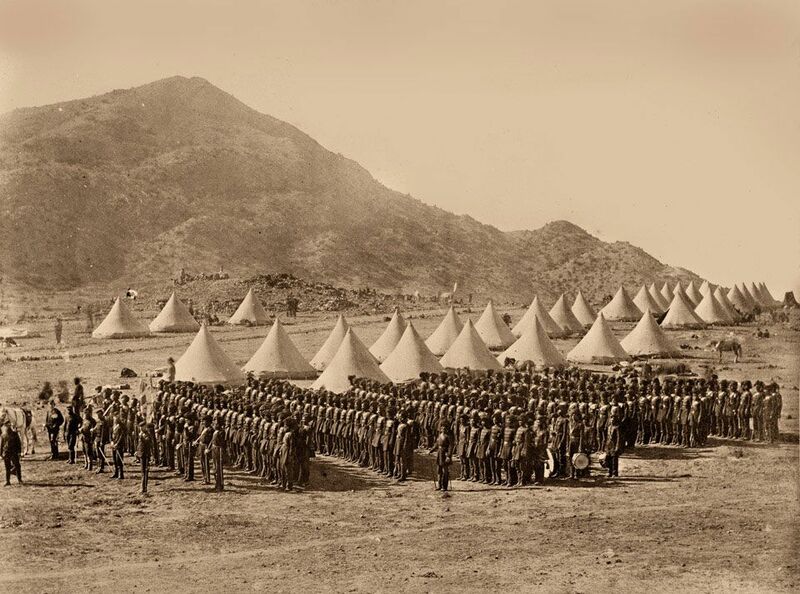 In 1868 a British expeditionary force had been sent to Ethiopia to secure the release of several European hostages. This led to the battle of Maqdala, when the emperor was quickly defeated by European weaponry. Tewodros then shot himself with a pistol which had been presented to him by Queen Victoria sometime earlier when British-Ethiopian relations had been warm. Although the National Army Museum is not releasing details of the provenance, the emperor’s hair was acquired by Lieutenant Frank James, who was also an artist. He cut the hair when he was painting Tewodros on his deathbed. James’s descendants gave the hair to the museum in 1959, along with some watercolours of the battle. There are two separate locks, one of which is mounted on paper with a seal. Following the battle, British forces had looted the imperial treasures and Christian objects, much of which ended up at UK museums. The Victoria and Albert Museum currently has a display of 20 objects acquired at Maqdala, including a priestly gold crown. The museum has offered to lend the material, but it is unable to deaccession and the Ethiopian government has not pursued a loan. The British Library also has Christian manuscripts which were seized at Maqdala. The National Army Museum’s website describes the Maqdala expedition in jingoistic terms: “No other nation could have considered such an expedition, let alone have successfully carried it out.” Although the British “suffered a mere handful of injuries” during the battle, “more than 500 Abyssinians were killed and thousands more wounded”. The website acknowledges that “an enormous auction of loot” was held, requiring 15 elephants and 200 mules to transport the material to the coast.